North by Northeast is best known as a music festival, but its programming mandate has expanded in recent years to include an interactive and film portion. Some of the selections for this year’s film component were announced yesterday, with some notable music-related pictures included. NXNE’s gala film is My Father and the Man in Black, which looks at Johnny Cash manager Saul Holiff and written and directed by Holiff’s son Jonathan. Animated short film I Met the Walrus tells the story of producer Jerry Levitan’s encounter as a 14-year-old with John Lennon. 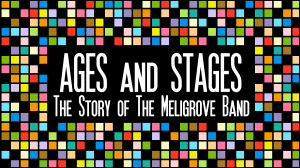 The festival also includes several world premiere films, like Ages and Stages: The Story of the Meligrove Band, which tells the story of “the unluckiest band in Canada”; Amos the Transparent: Sure as the Weather — Making a Music Video, which looks at the band and their crew’s attempt to shoot a one-take video; and Fugitives: WAX Live, which examines the consequences for those who snuck Def Jam rapper WAX into Canada for a show after he was turned away at the border. That’s just a sampling of what’s playing for NXNE Film Festival in June — lots of reasons to check out the fest this year, musical and otherwise.